The Long Lasting Odor Control of 24/7 Performance helps you maintain a worry-free week. The deodorizing system helps keep odors under control around the clock, while making maintenance easy. 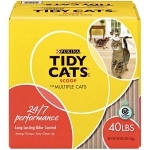 Along with its strong clumping action, easy clean up, and a deodorizing system to help reduce pesky litter box odors, it’s a smart litter solution for keeping your multiple cat home smelling fresh and clean. 40 lbs. The antimicrobial odor control of Breathe Easy™ helps inhibit the growth of bacterial odors on litter. Along with its strong clumping action, easy clean up, and a deodorizing system to help reduce pesky litter box odors, it’s a smart litter solution for keeping your multiple cat home smelling fresh and clean. 40 lbs. 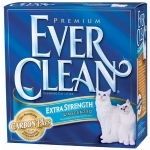 Ever Clean® Litter is America's first clumping cat litter. 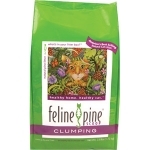 Our premium clumping litter helps prevent liquid waste from reaching the bottom of the litter box where it can decompose and create odors.Ever Clean® litter is made from a premium blend of natural minerals and clays. We select only pure, high-quality ingredients. 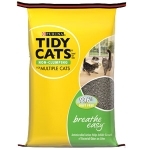 Cats like Ever Clean® litter because it is made from natural clay and is 99.9% dust-free. 42 lbs. 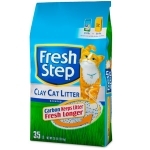 Fresh Step® Clay Litter Has the power of carbon which works to eliminate odors and to help keep your house smelling fresher. A fact both you and your cat are sure to enjoy! With highly absorbent, quality clay plus paw-activated fresheners, this formula works continuously to help eliminate litter box odors. 35 lbs. 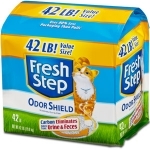 Fresh Step Cat Litter offers unbeatable odor control in three ways: it is highly absorbent, quick-clumping formula lets you easily scoop out the source of odors to keep your cat's litter box fresh. 42 lbs. 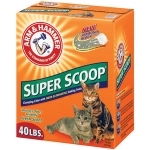 An odor free home starts with Arm & Hammer Super Scoop Clumping Litter with Ammonia Odor Block formula. 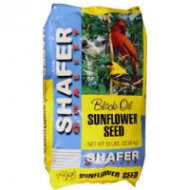 It combines powerful baking soda crystals with ammonia odor neutralizers to eliminate the toughest odors on contact. Plus a fresh scent is released every time your cat uses the box. 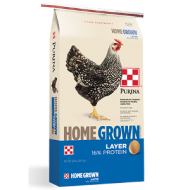 Provides rock-solid clumping for easy removal; 99% dust free and low- tracking. 40 lbs.